Belmont, Maine was originally called Green Plantation. "Belmont" is a derivation of the phrase meaning "beautiful mountain" in French. 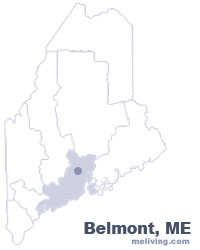 To share any Belmont, Maine information with us, please contact us. Learn more about advertising in MELiving.